The new catalog is live! With something Spooky! The piece of Spooky Night Designer Series Paper (DSP) I used for the background has 16 repeats of this 3″ x 3″ design, so you can cut them apart and make 16 cards or invitations out of just one sheet of DSP! Merry Little Christmas Mega Suite Class! 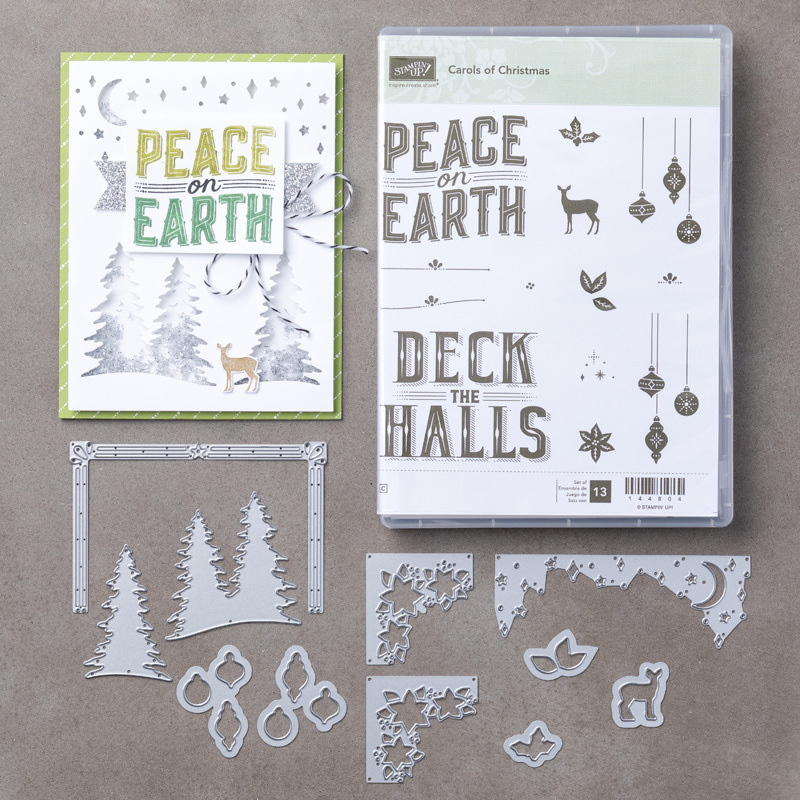 In this two part class you’ll make Christmas cards and coordinating gift packaging. You can sign up for just one, but why not sign up for both and have matching cards and gifts, and save money? You’ll make 6 cards using products from the suite. You’ll make 4 gift bags and boxes, complete with tags and decoration. Save when you register for both! CLICK HERE to register by September 6. – one of the two bundles included in the Mega Suite, I will give you a $10 gift certificate for Stampin’ Up! product at the class. – both bundles, I will give you a $20 gift certificate for Stampin’ Up! product at the class! Gift certificates are good only for Stampin’ Up! products ordered through Candy Ford. Customer is responsible for tax and shipping. 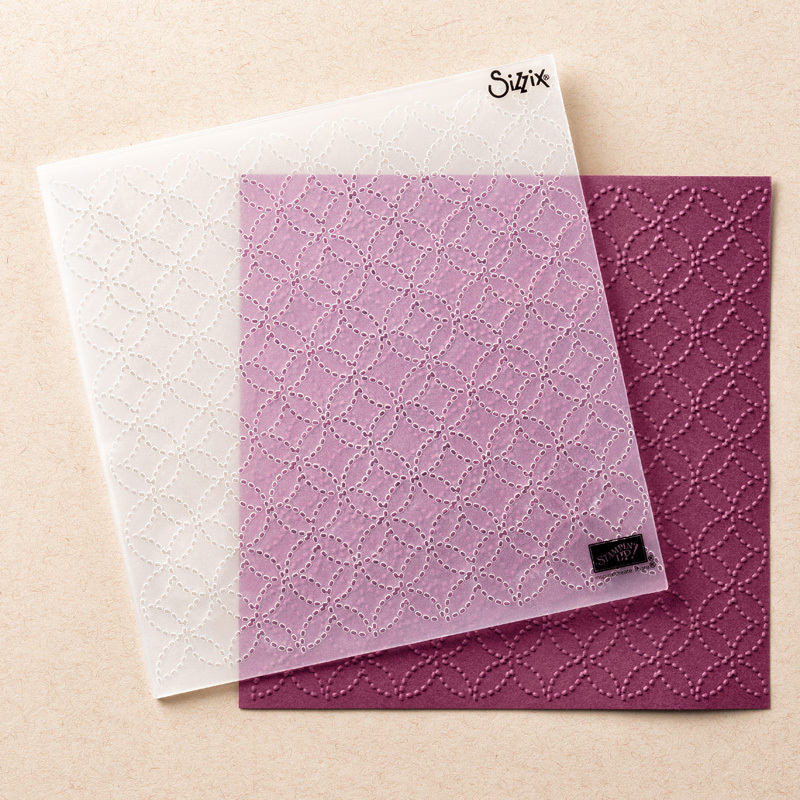 Create a beautiful quilt pattern background with this Embossing Folder. It’s easy to make a great impression! Just place flat card stock in this embossing folder, run it through the Big Shot, and out comes card stock with a bold textured design. What fun! I’m crazy about the addition of Cajun Craze into this year’s Halloween paper. I love how you used it here. Such a fun card, Candy! Such a cute card! I love the different Die cuts and layers.